Lets say, you took a photograph and shared it online, only to find out someone else is using it without your permission. Or you published an eBook, or a powerpoint presentation and someone ripped it off. Plagiarism is as real as you and me. It is also one of the most dangerous threats plaguing photographers, eBook writers, and content creators. Thankfully we can use Watermarks to preventPlagiarism. It’s can also be used to tell the readers whether the document that they are reading is confidential, in draft mode, sample or copyrighted. 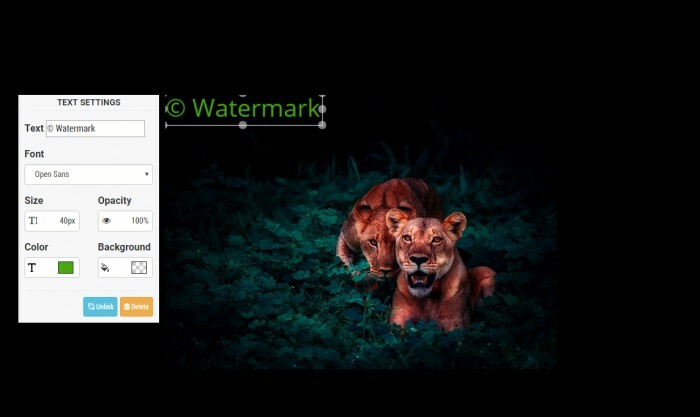 So here is a step by step guide to create a watermark without photoshop. We have covered all the major text editors and office suite, so that you can create watermark without leaving the app you are working on. Let’s start. Open Microsoft Word on your computer. Under the page layout tab, you will see Watermark option. When you click on it, you will see some default options, and if you don’t like what you see, there is a custom option too. Click on Watermark and then Custom, and you should see a box like this. In Text box, enter the words you want and it will become your new watermark. 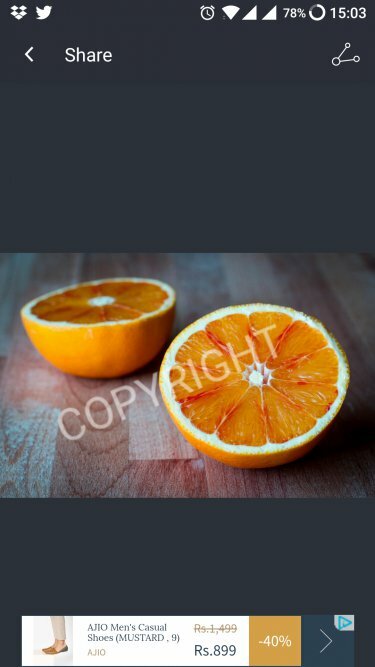 On the top, there are three options: No watermark, Picture watermark, and Text watermark. You can choose language, color, size, font, and layout. Note: You can also add a logo or any image as a watermark using the “Picture watermark” option as seen in the above screenshot. Adding a watermark in Excel is a bit tricky compared to Word. I found a solution which will get the job done. First, you will follow the above method and create a text/picture watermark in Word. Then you will capture a screenshot of the document to create an image. To take a screenshot, you can use Snipping Tool or PrtScrn button. If you already have a image that you want to use as a transparent watermark (like brand logo) then skip this step. 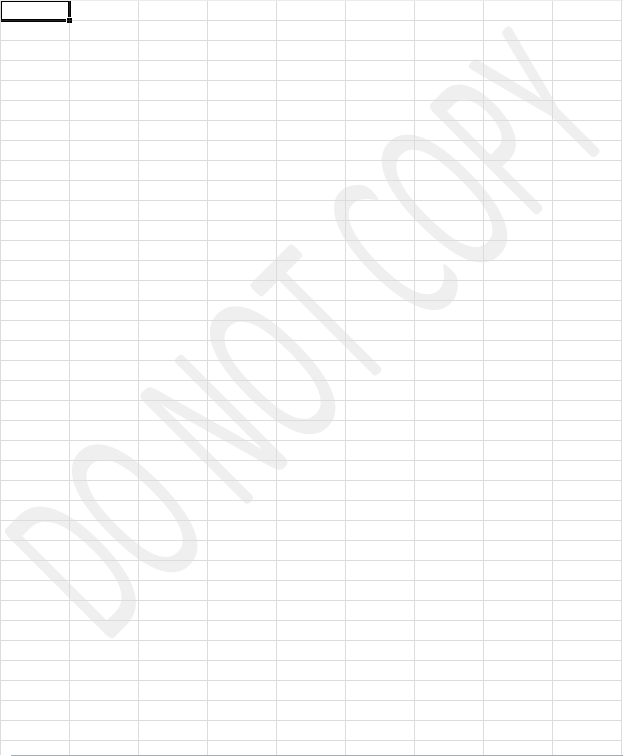 Once you have the watermark image, open excel sheet and go to Header & Footer under Insert tab. You are now seeing the sheet in Page Layout. The cursor is within the header area. You will find the Picture button under Header & Footer Tools – Design. 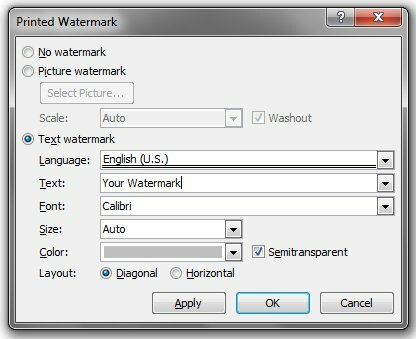 Choose the watermark image that you created using the word document and that’s it. Save the excel sheet, close and open again. You will now see your watermark on your excel sheet. 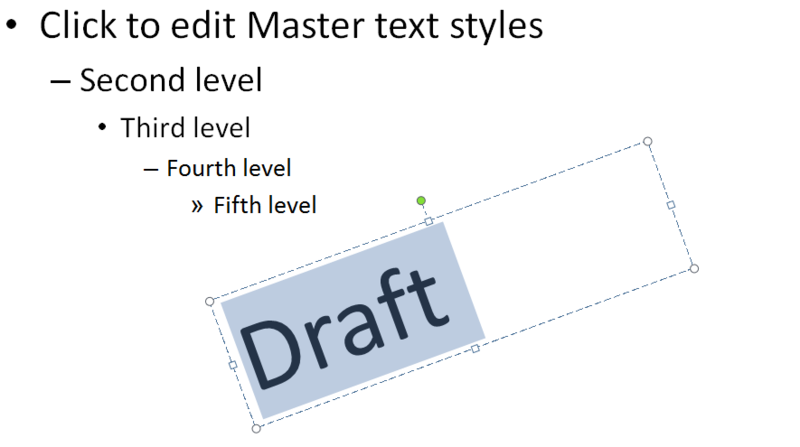 Powerpoint offers a simple way to create and add a watermark. Open powerpoint and click on View tab. Click on Slide Master. 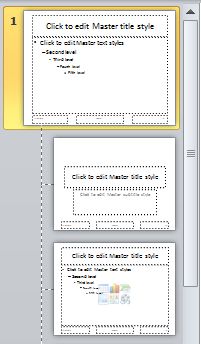 Choose the first thumbnail in the left pane which is the slide master. When you select it, it is highlighted. Now, click the Insert tab and go to Text Box. Click inside the slide and draw a rectangle in the area where you want to insert the watermark. Enter the text, in my case, I wrote Draft. Select the text you just wrote and format it; you can change the font, color etc. Make sure to choose a lighter font color so the watermark is only visible in the background. Grey is good. When you are done, click on Send Backward – Send to Back under Drawing Tools Format. Next, click on Slide Master tab and click Close Master View. You should now see the watermark on every slide that you have created. And that’s it. 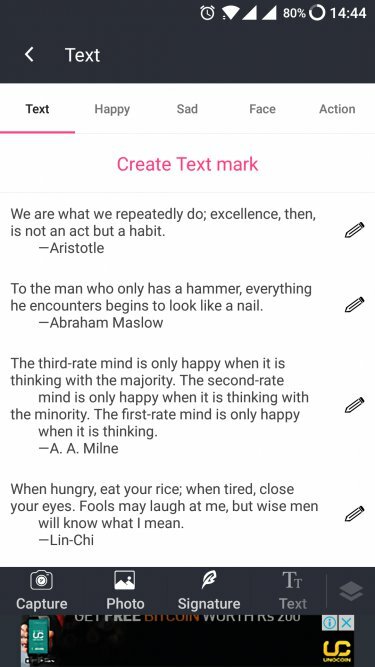 Since I use my Android to send drafts, I found the following app to work great to create and add a watermark to my documents on the fly. Most people use mobile devices for photography and why not? Mobile phone cameras have come a long way. 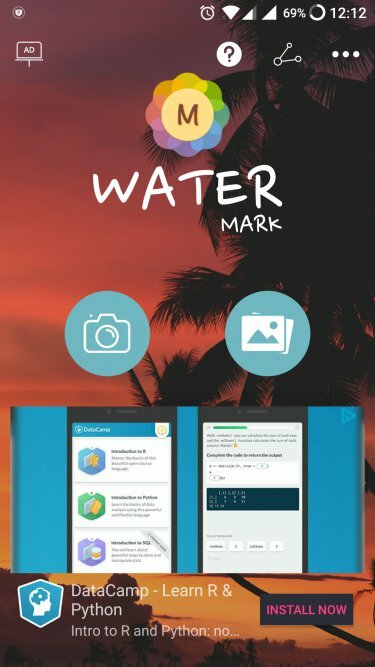 Though there are quite a few apps available on the Play Store to add watermarks, I like Photo Watermark because it is free with no in-app purchases, and also allows you to add a timestamp. Download the app and launch it. You will two options; you can either click a new image or choose an existing one from your gallery. After you choose the image, you will see a screen like below. Click on Text option to choose or create a text watermark to be added. In this screen, you can Create Text Mark or in case you need to add an image, you can do that too. The app also offers a set of icons to choose from. When you choose to create a text watermark, you will see other options like font size, font color, fade intensity, background and more. When you are done, click the tick mark in the upper right corner of your screen. 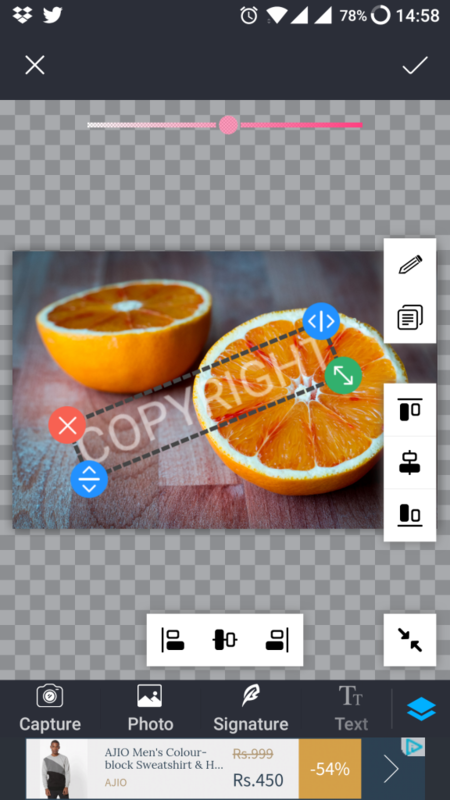 In the next screen, you can position the watermark, change its size, and see how it looks. The green button is for changing the size and position. You can also drag and drop. The pink slider at the top is to add fading effects. The black and white buttons on the side and at the bottom are to add watermark on the corners. When you are done, click on the tick mark on the top right corner and you are done. You can also create a watermark using an online tool like Water Marquee. There is a paid upgrade available for a one time fee of $9 that I recommend if you are a pro user. Visit the website and click on the big green button that says Start Watermarking Free. 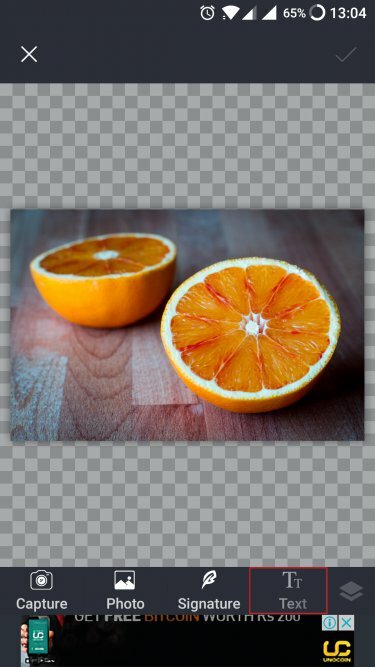 You will see a blank page with a blue button that reads – Select Photos to Watermark. 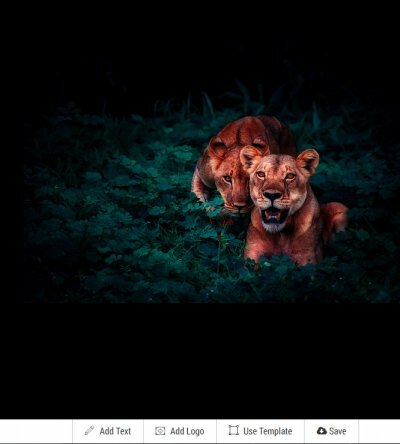 When you select the image, you will see a toolbar at the bottom. You can add text or image as per your requirement. I chose Text option to add watermark. 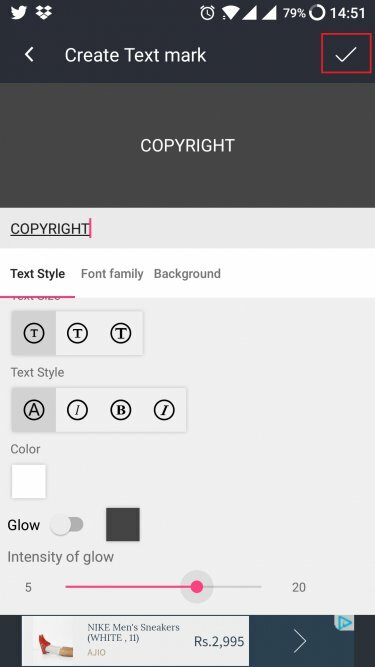 You can change font size, color, style, and drag and drop it anywhere on the image. There are so many apps, tools, and softwares available that it can be difficult to understand which one is the best for us. MS Office has watermark feature built-in while for Android, I liked Photo Watermark because it is free and as good as any other option available on the Play Store. For web tool, Water Marquee is good but if you are looking for batch processing, Visual Watermark is a good option and is available as a desktop software for both Windows and Mac. Let us know which one do you use and why. If you have to send a private document to bunch of people, but you think one of them will leak the documents. Then add a subtle the difference in the watermark. Like add a semicolon in one watermark, full stop in the other and comma in the third one. And then send three different copies to different people. Now if anyone reveals your message to the public, you can check it your outgoing emails and find out the bad apple.